I removed several grudges in a short period and the counter seems to have underflowed, I'm guessing due to a change in severity not counting somewhere. This has caused me to have 0 grudges but a grudge severity of 4292967295 (see screenshot or attached Quicksave). 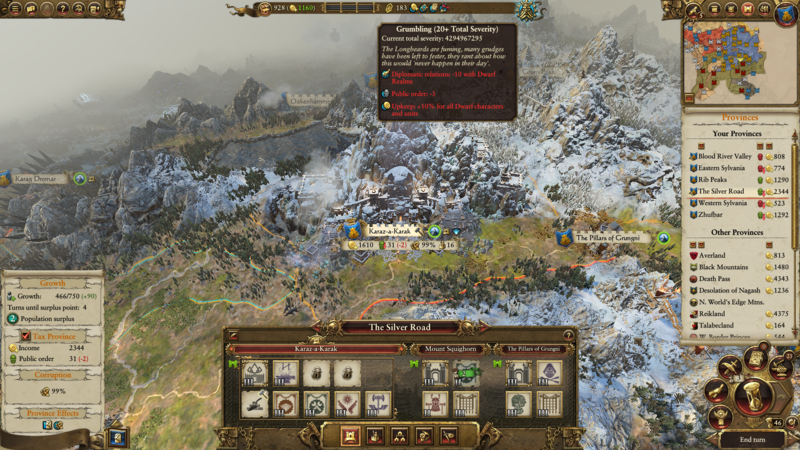 Reproduction: Load attached autosave, end turn, following turn use the army outside Barak Varr to defeat the rebel Army (autoresolve) and take Dok Karaz (autoresolve also works). Grudges are removed and grudge severity is now underflowed.